I DO like a good quality white chocolate (don’t like the sickeningly sweet ones) so I’m sure I’d love this! 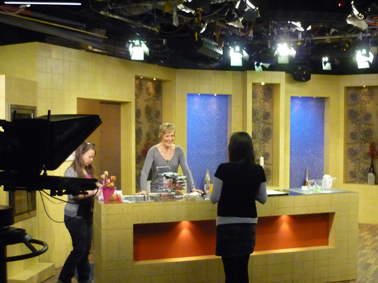 Trying to decide which of your Valentine treats to make is so diffficult! I want to make them all! Totally like you on white chocolate, Christina. I know you’ll like this! I’ve made this chocolate mousse for the choc mousse marathon we’ve had this weekend and it was nothing short of incredible! 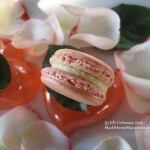 Rose and orange blossom water go with white chocolate perfectly and make a very special treat!!! Absolutely stunning Jill. And yes, I remember that Merveilleux. Mmmmmmmmm! This is such an elegant, romantic dessert for two. The White Chocolate mousse, looks so light, fluffy, and decadent. 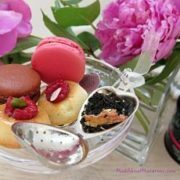 The dessert would go well with the bubbles:) Happy valentine’s Day! Hm. Bubbles. My toes are curling just at the thought, Becky! waiting for the next cookbook. 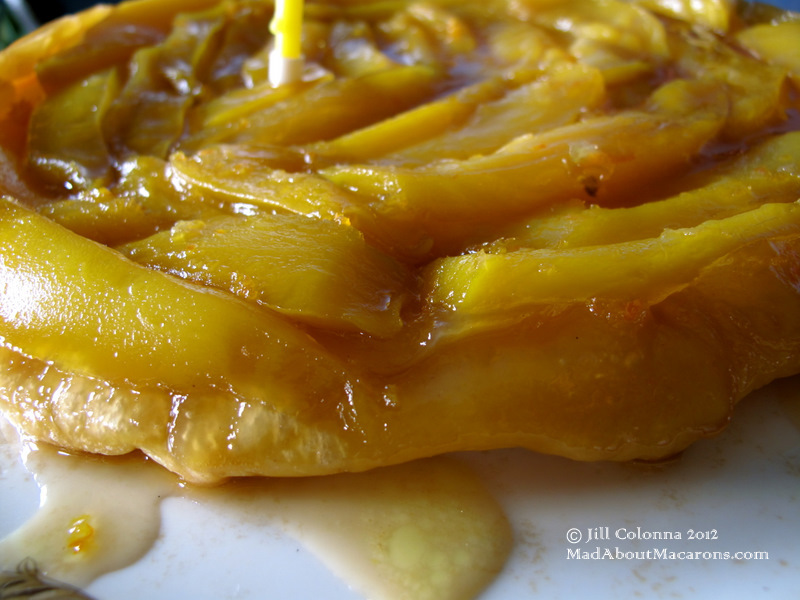 Funny – this is one of the recipes in the next book, although it’s presented rather differently. It’s taking me forever on it, though! Believe it or not Valentine Macarons were going to be my second go at making them altogether. I was hoping to pop these out today or tomorrow. Now that I have the perfect guide I’ll be sure to get them right. Your hearts look absolutely perfect and lovely. I can’t wait to try these. Thank you for sharing them. Happy Valentine’s Day to you and your honey a couple days early! Thanks, Vicki. There’s an idea you have: honey macarons for your loved one! Thanks so much, Shelley. I’m rather proud of it myself 😉 – it’s delicious and so quick and easy to make at home. Oh these are the prettiest things! How could anyone not smile if you made them this for Valentine’s Day. Och. Your comments make me smile. Wow those macaron hearts look so beautiful! And the white chocolate Mousse looks gorgeous as well! The combination of those two is perfect, especially for Valentine’s day! I’ll be making macarons from your book very soon, I can’t wait to give macarons a try again after my first failed attempt, haha 🙂 Hope you have a wonderful day! Look forward to hearing about your macaron successes, Amalia. You’ll be doing the feet dance, I can just see it. 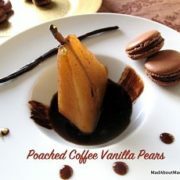 Such an elegant and lovely dessert! 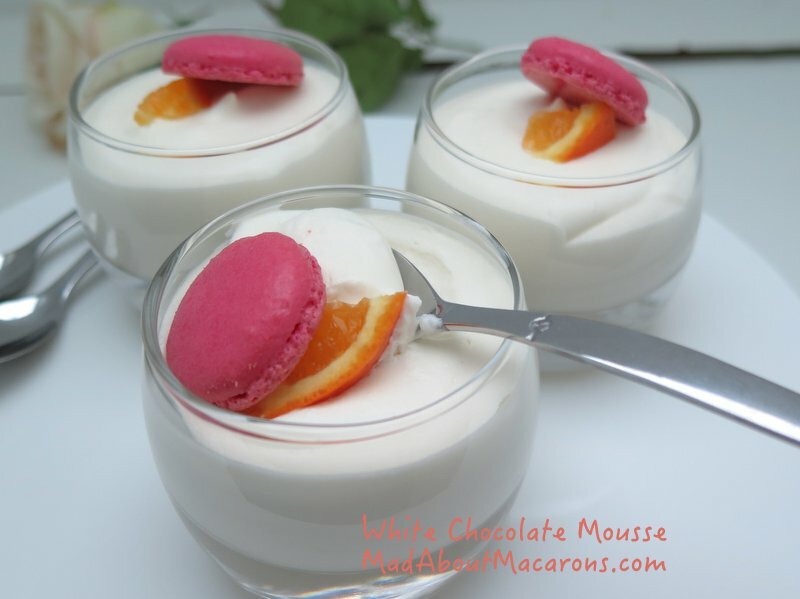 The mousse sounds just wonderful and i love the macaroon heart garnish! Thanks, Natasha. Means so much coming from you. Just dreamy..the colors the flavors, everything. Such a pretty dessert. I love it. Your heart shaped macs are gorgeous. Virtual hugs, Lora. You’re such a sweetheart! Wow! Those macaron hearts are perfect! You are brilliant… and the mousse sounds so yummy, Jill! I remember doing the ‘my macarons have feet dance’ months ago when I first made macarons! 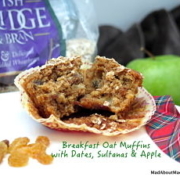 You’ve reminded me, and now I can’t wait to try making them again 🙂 Fabulous post! Thanks Marsha. Time to dance again, then. Nothing brillliant – this is so easy! 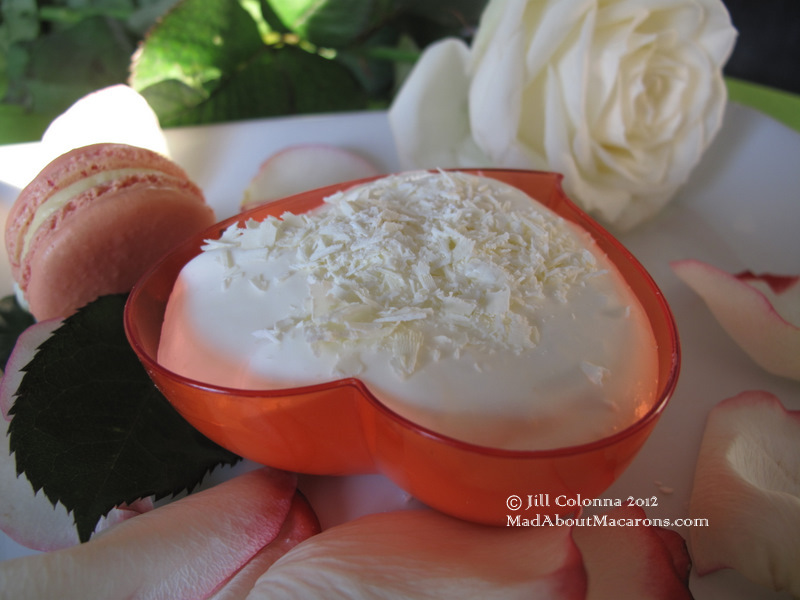 Like the heart shape and perfectly paired with the white chocolate mousse…so elegant for Valentine’s Day. Hope you are having a fantastic week Jill! Cluck, cluck. Come on, Juliana. You can do it! Have a wonderful Val weekend. 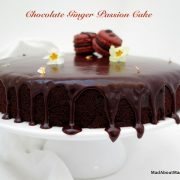 I am one of those fearful bakers, which is why I love your site. Those hearts are swoon-worthy–I don’t have any problems with the marscapone cream, but fear the hearts would not look this good. And so what if a heart or 2 are not quite right? There are no macaron police out there. The point is, it can be done, we can have fun with them and above all the taste is divine. So, if it’s not quite right it doesn’t matter. Fear not, Cucina! LOL! “perfectly competent cooks” are scared to try macarons…. are you talking about me? Not that I’m saying I’m a “perfectly competent” cook but I know you are talking about me! Teehee. 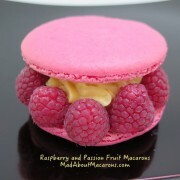 I love eating macarons though… And seeing how delicate they are I’m very intimidated! I absolutely love your heart shaped pink macarons! I didn’t know how you make the heart shape. That’s interesting. Your white chocolate mousse sounds perfect with these macarons. Happy Valentine’s Day Jill! 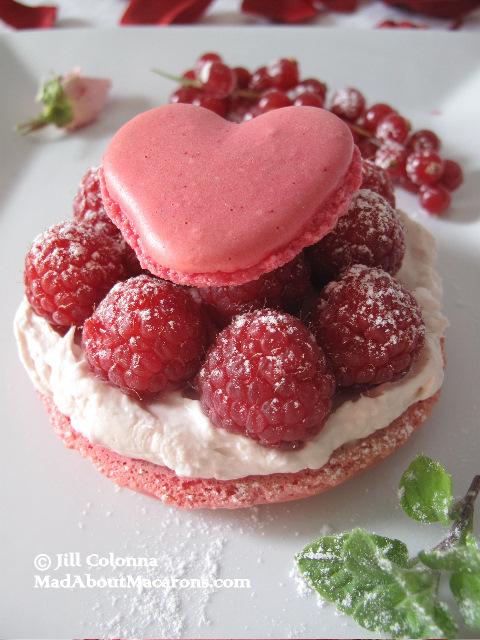 Oh I love the macaron in heart shape…so festive and lovely. I really don’t like white chocolate either but this does look so perfect and romantic! And the hearts are so beautiful! 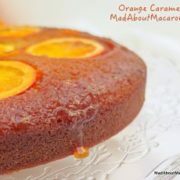 I am going to try this next time I make macs! Perfect! Jamie, you don’t taste the white chocolate much but the orange blossom and rose shine through which I love! Hope you like it. That was me also a few years ago. We can all see it in ourselves, can’t we Liz? 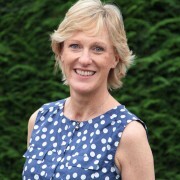 Once we’ve got over the initial confidence hurdle we can achieve it no problem! This looks so amazing! Love the mousse, white chocolate doesn’t get enough love 🙂 And mm, look at the shavings! Perfect dessert. Even I like it and I’m not a huge fan of white choc. Didn’t put that much in it, but just enough for the velvety texture. I’m hooked! I know that excited feeling about ‘feet’ because I did that happy dance when I finally got perfect ‘feet’ too! 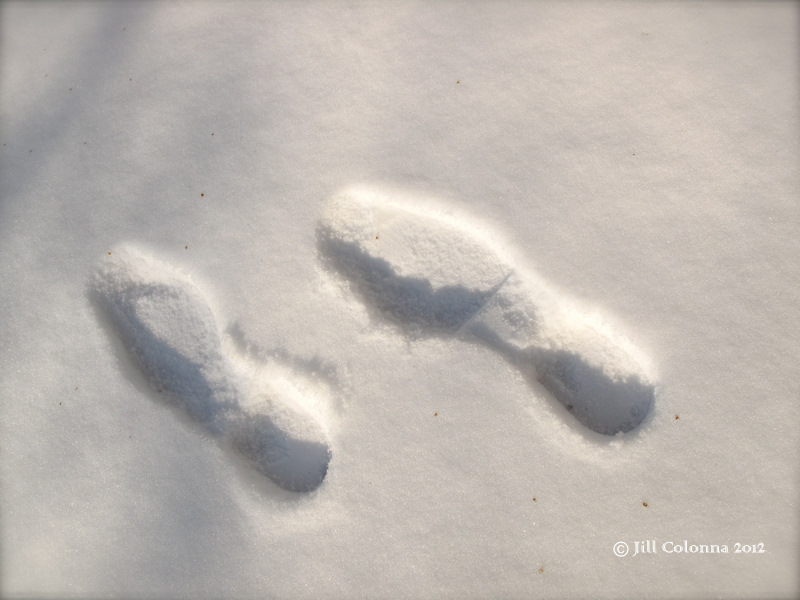 Btw, I love that first pic of the footprints in snow, I first thought that was white sand. Hah! 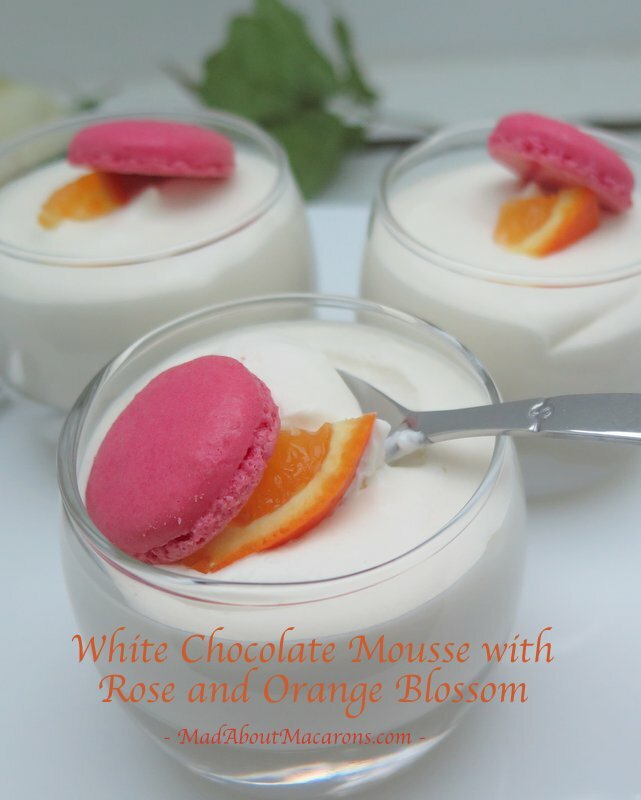 That white chocolate mousse sounds so divine with the touch of rose and orange flower! Beautiful! Thanks, Amrita. I now wish it was sand. Where’s the heat? Jill this is adorable. I would have never thought to use them like that. Love the mousse. I really need to get your book, attempt making macarons and leave you a facebook message. Let’s hope for beginners luck. Kim, no need for luck with your talents! You’ll see. Well this does surprise me! Making a macaron into a heart shape I imagine is not an easy task-however since you are so skilled at making macarons this was a breeze. 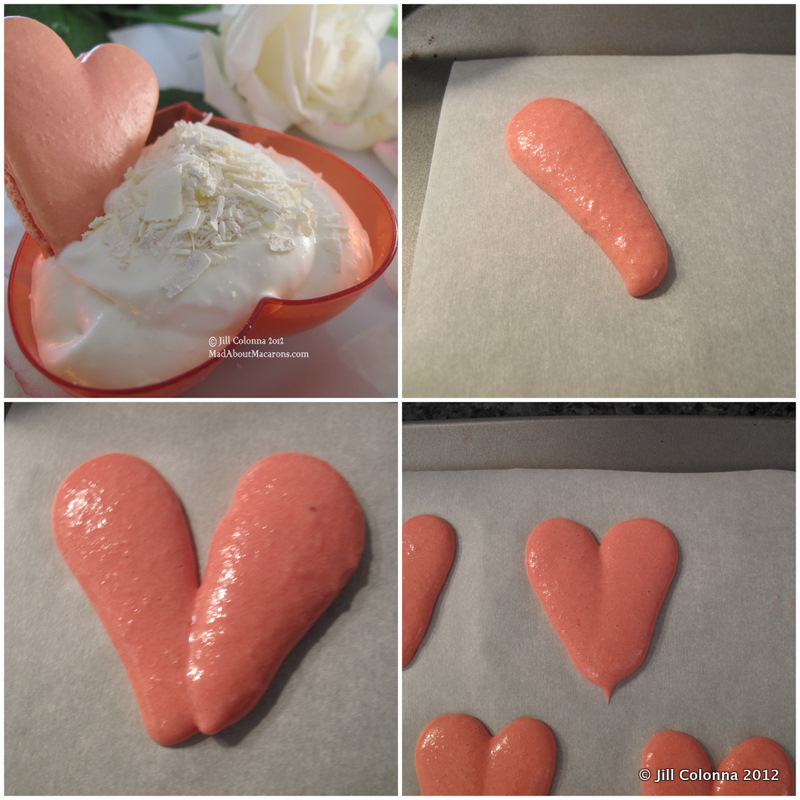 Also, putting one of these hearts with a creamy white chocolate mousse is perfect. You really have some amazing photos of your creations here. I love the third picture! Thanks so much, Tina. But you’ll find it a breeze too! Thanks for the compliments on the photos. 3rd one is in the book. The others? One has just been declined by Kitchen Artistry, boohoo. Off to eat worms for dinner. Thanks, Eva. Wish I could take photos like you! 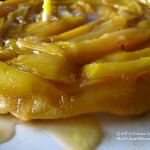 Mango and Orange Tarte Tatin for Marsha’s Birthday Macarons for Valentine’s. 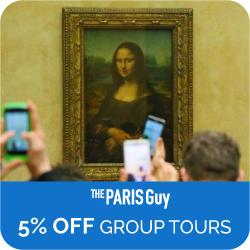 The Romantic French? Aye Write!